There are many different circumstances that may lead to a suspension or revocation of a person’s driver’s license, but the loss of freedom often makes people risk subsequent traffic stops in order to get where they need to go. One of the reasons that so many people get in trouble for driving with a suspended license is that operating a vehicle is so necessary for many things, including getting to work, bringing the children to and from school, shopping for food and other necessities, and going to the doctor. However, the risk brings with it the possibility of serious negative results for the person who thought it was necessary to take the chance of driving on a suspended license. The impounding of a vehicle if the suspension related to an alcohol-related charge. If the vehicle were impounded, the individual charged with driving on a suspended license would have to pay all impound and storage fees. Having a medical condition that leads to safety concerns about operating a vehicle. Was aware, or should have known, that his or her license was suspended. It is possible to defend successfully against the charges by introducing evidence that contradicts one or more of these elements. It is possible to show that the person was not the one operating the vehicle, that the vehicle did not fall within the classification of a motor vehicle, or that there was a problem with the suspension paperwork and the person could not have known about the suspension. Also, the officer who made the traffic stop that led to the charge of operating a vehicle on a suspended license must have had a valid reason for pulling the person over initially. This probable cause referred to as reasonable articulable suspicion. If the officer did not have probable cause, then the charges may be reduced or dismissed. Attending a class, including a driver improvement program. 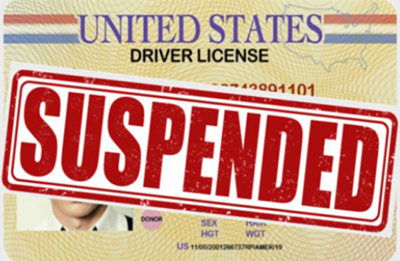 Depending on the circumstances, it may be possible to obtain a restricted license during the suspension period. If you have been charged with a traffic violation, it is critical to obtaining the right legal help as soon as possible. Jason Swango represents clients in the Hampton Roads, Virginia area, including Virginia Beach, Norfolk, Chesapeake, Hampton, Portsmouth, Newport News, and Suffolk. Call us today at (757) 383-9229 to schedule an initial consultation.